By the time I took this picture, I had pretty much blocked in most of the rose. I'm using a blue-grey La Carte sanded paper for this. 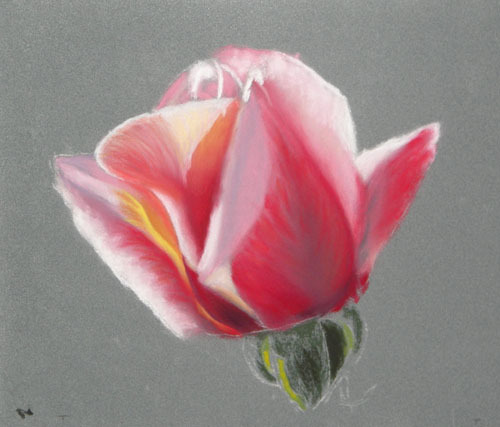 The base pastel that was used was mostly Rembrandt, but because I completed the block-in stages at a location away from the studio, I didn't have the colors I needed at that time. When I got back to the studio to complete this, I ended up using Ludwigs extensively to get the brilliant red that was needed. 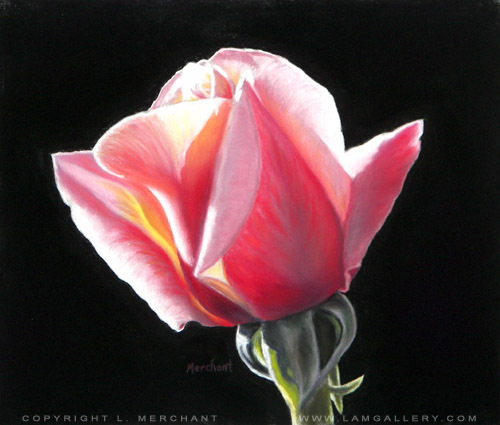 Here I continued to clean up the rose and completed the stem. I'm using a white charcoal pencil for all of the brilliant white highlights on this. All of the blending is done using the fingers. This is the final picture. 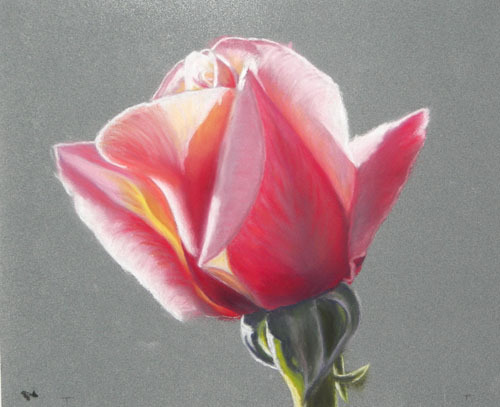 I went around the rose with a charcoal pencil, then used charcoal to fill in the rest of the picture.